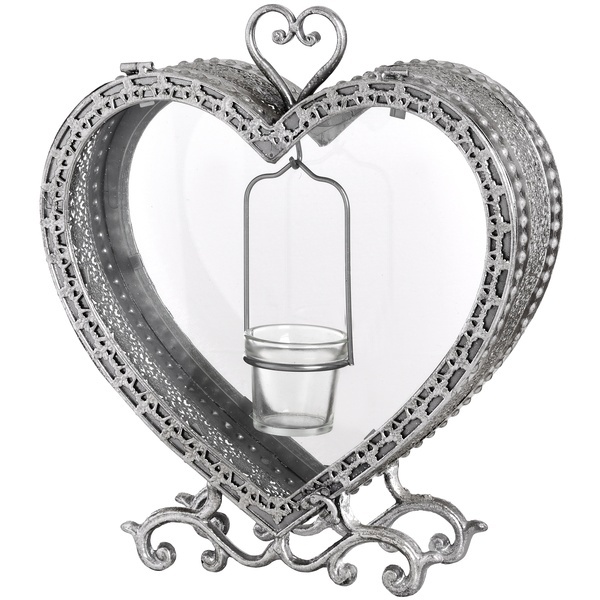 This Free Standing Heart Tealight Lantern in Antique Silver stands at 38cm tall, the addition of the sturdy base means this lantern can be left to free stand making it a no fuss piece of lighting, it is great for use as a table center piece. The antique silver finish complements the elegant design while the intricate wrought iron detailing around the edges of the lantern makes for a stunning addition to this piece. Great product, just what I was looking for. Packaged extremely well and arrived promptly. Excellent service. Thank you. Click the button below to add the Free Standing Heart Tealight Lantern in Antique Silver 1 to your wish list.